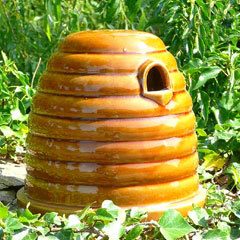 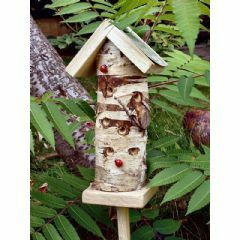 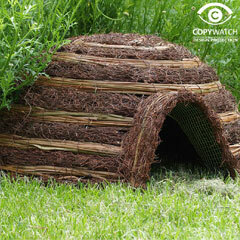 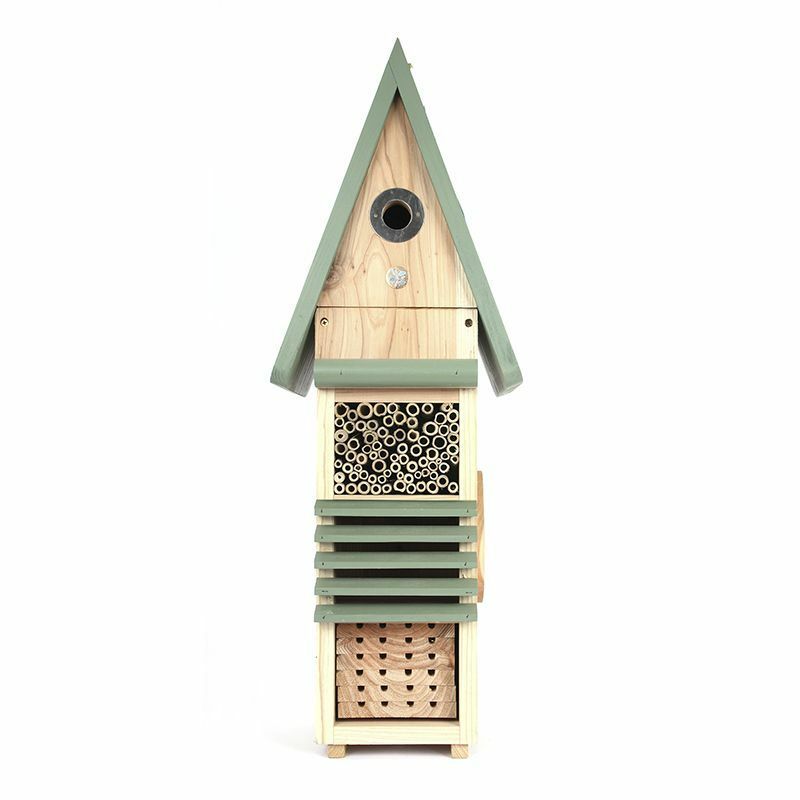 The Wildlife World Birds, Bees and Bugs Hotel is an impressive habitat made up of 4 different chambers which will attract a variety of species to your garden. 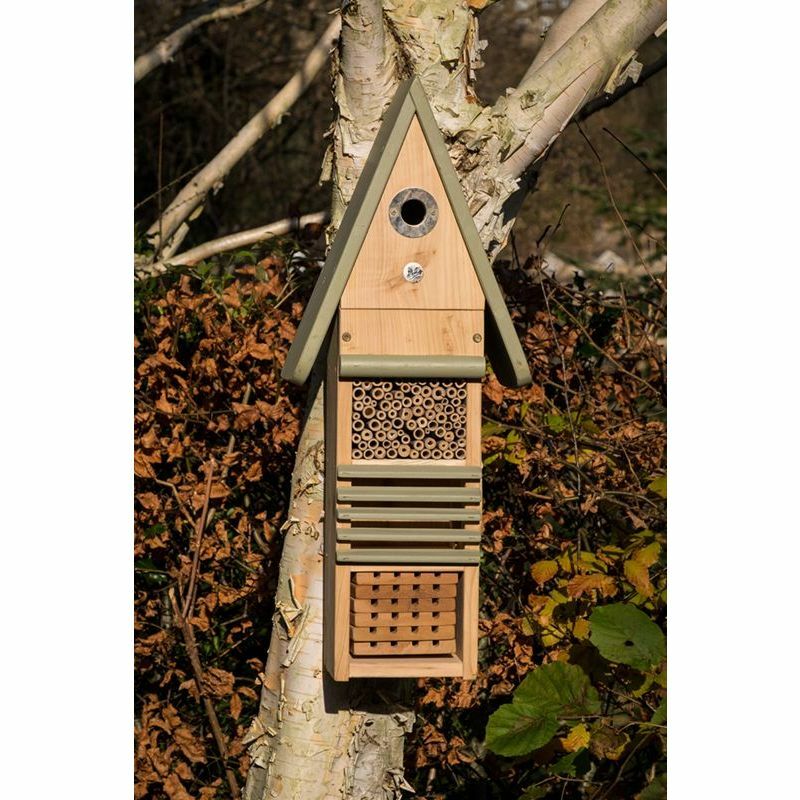 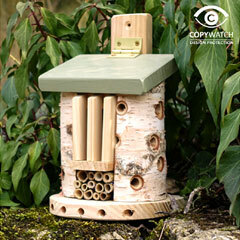 Chamber 1 Bird Nest Box - A loft nesting area for wildbirds with predator protection. 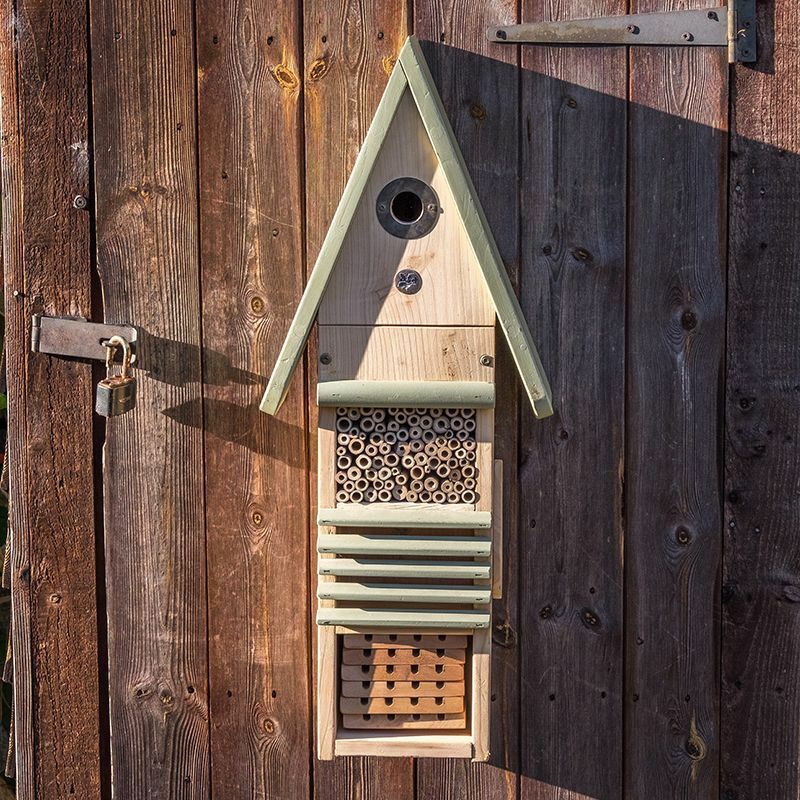 Chamber 2 Bug Zone - The third storey includes specially prepared bamboo tubes for over wintering beneficial insects, including Ladybirds and Lacewings, also with nesting space for Solitary Bees. 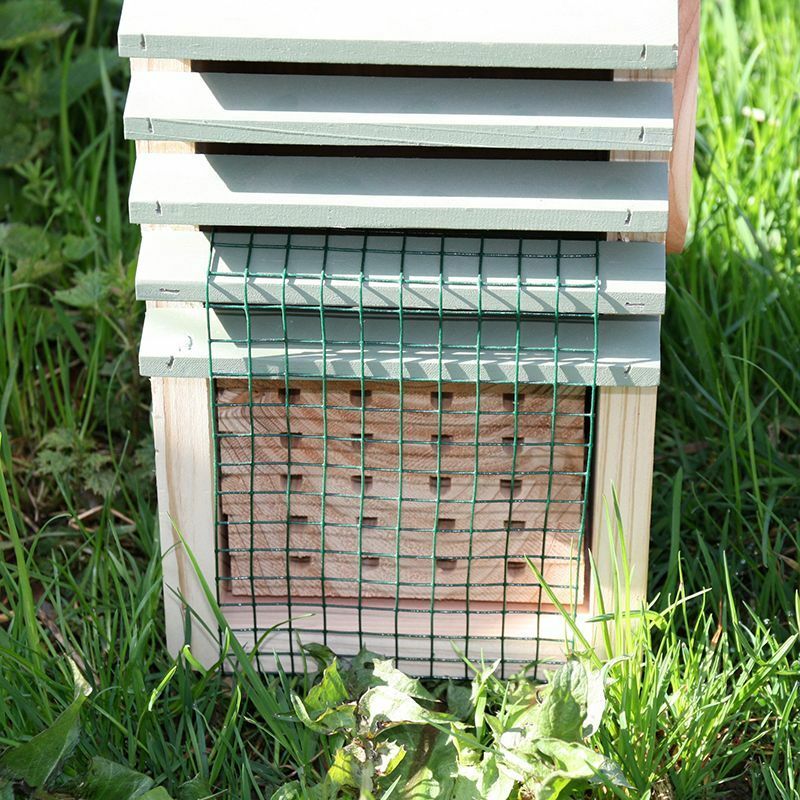 Chamber 3 Over Wintering Zone - The second storey has an open side access and an overwintering chamber which can be filled with bark, straw or leaves. 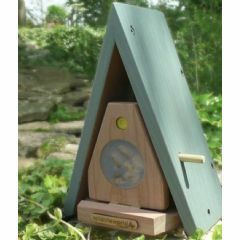 Chamber 4 Interactive Bee Trays - The first storey features interactive nesting trays for Mason bees, Leafcutter Bees and other insects. 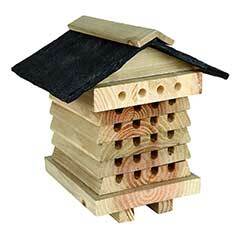 Position the hotel facing South to South-East in a sheltered area 1m - 2m high. 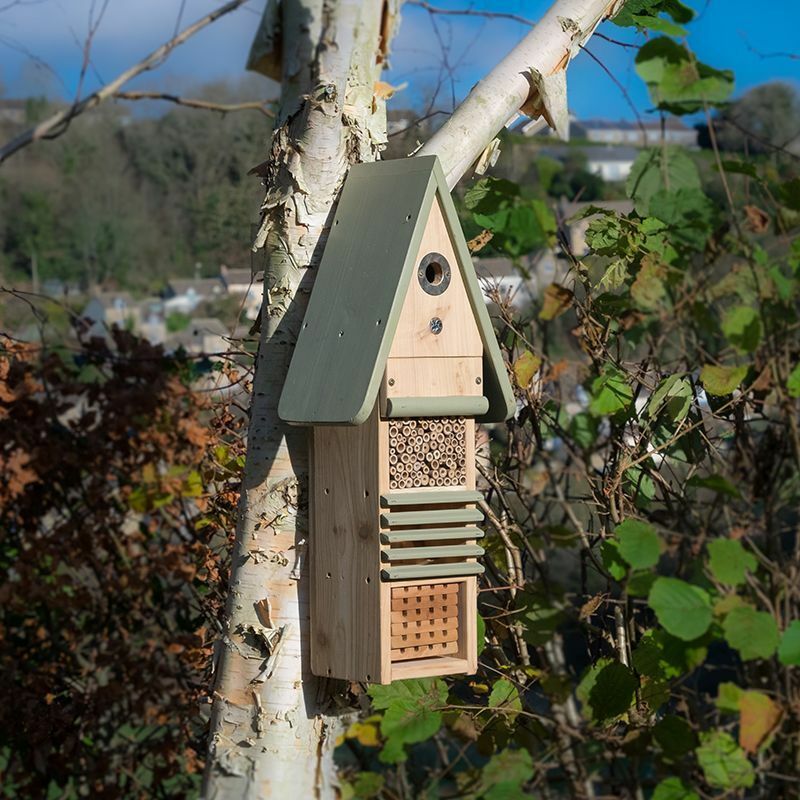 A water based green paint may be applied annually to maintain the green finish of this hotel.